To join your company’s account, the account admin should send an email invitation to all new mobile users from the Web Management Portal. Make sure you Download the FotoIN app onto your device first. Open the invitation email and tap the Join FotoIN link. 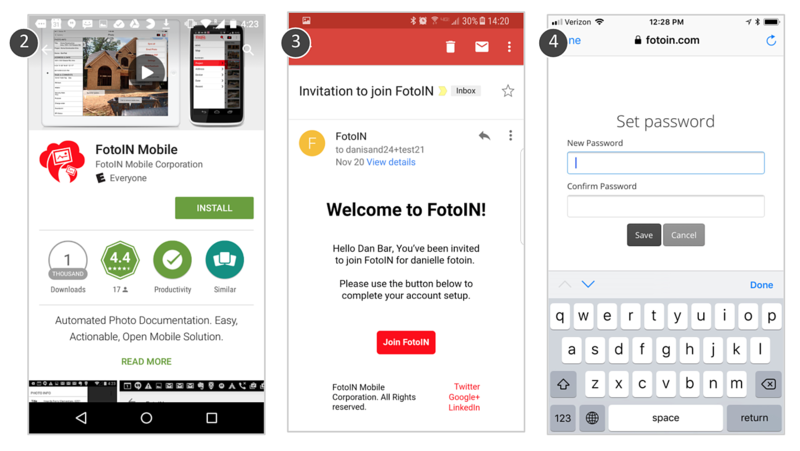 Create and confirm your password for FotoIN. You will be redirected to the FotoIN app to log in. TIP: After logging in for the first time, the app will quickly walk you through the key features.